Sandblast vinyl is used to great effect in many signage jobs. 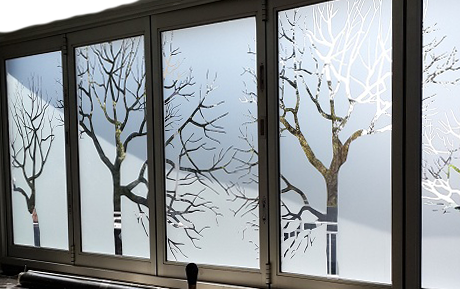 It can be used to elegantly block out windows, or to create beautiful designs on the actual windows. We can also machine cut your corporate logo that gives you a very subtle but useful branding opportunity.